The Auto Industry Interrupted by Millennials? Millennials have changed the way the automotive industry must market vehicles. Why? Simply put, Millennials are challenging the need for cars. 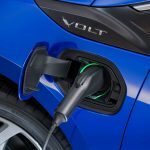 Tucson.com recently issued an article regarding the impact Millennials will have on the auto industry in delaying buying vehicles. Most Millennials prefer public transportation or ride-sharing because it not only saves money but is also better for the environment. As Millennials graduate college and enter the work force, many are delaying making major life decisions. What’s more, as Millennials are graduating with more debt, having a harder time securing jobs and living at home longer, many are not able to take on the financial responsibility of owning a car. Add in the fact that many don’t have their driver’s license, it’s unclear the kind of impact this will have on the automotive industry. All that said though, the flexibility of leasing might be more appealing to Millennials. For Millennials looking to have the freedom that comes with owning a car, taking over a lease might be the most suitable option. Not only is it much cheaper than purchasing a vehicle, no down payment is required, it’s also a shorter-term commitment. Instead of being stuck with the same car for the next few years, by taking over an existing lease you are committed to a car for about 24 months. Those who are currently stuck in their lease, Swapalease.com helps them exit their lease early. By listing their lease on Swapalease.com, individuals are matched up with those looking to take it over, releasing drivers from the contract. It’s January, the beginning of a new year. For many it also means deciding to get a new car. The average American family car is around a decade old and many are looking to get into something different. However, buying a new vehicle isn’t as easy as many would like it to be. The good news is that the shopping process can start from the comfort of your own home. In the world of interconnectivity, it’s becoming very common for consumers to do due diligence before purchasing a new car. The Internet makes it very easy to browse through different inventory and see many makes and models before ever setting foot in a dealership. A recent article in Boston.com explained the difficulty involved when deciding to purchase a new vehicle. What’s more, the price of new cars has seen steady increase and consumers have been borrowing more and for longer in order to afford their new vehicle. But for those looking to get more car for their money, buying might not be the best option. Leasing has grown in popularity and taking over an existing lease, most of the time, requires no down payment and will save you money. Thinking of handing in your lease before it’s due? Be ready to shell out some extra cash for “breaking” the terms of the contract. If you’re seeking a more favorable option, check out Swapalease.com. Listing your lease on Swapalease.com, the largest online lease transfer marketplace, will help you connect with someone looking to take over the remainder of your car lease. No need to step foot onto a car lot. Being efficient in your car shopping is essential in getting a good deal. Headquartered in Cincinnati, Ohio, Swapalease.com is the world’s largest automotive lease marketplace and the pioneer in facilitating lease transfers online. 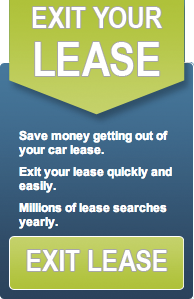 For more information about Swapalease.com or how to exit your lease early, call 866-SWAPNOW or visit www.swapalease.com. The price of automobiles has been on the rise lately but that hasn’t prevented Americans from purchasing new cars. In fact, sales of automobiles in 2014 have increased exponentially when compared to the last couple of years. Nevertheless, consumers are looking for ways to make payments more manageable. A recent article in TIME stated that Americans have been borrowing more in order to afford their new vehicles. The article presented data from Experian Automotive that found the average new car loan increased by $1,100 to $27,799. Consumers are borrowing more and for longer to cope with the rising prices. The average monthly payment for a new car is $470 and consumers will be stretching the grand total over 5 or 6 years. The longer loans might mean that you’ll end up paying more in accumulated interest over time. However, taking over an existing can be the solution for individuals looking for short-term commitment and lower monthly payments. Swapalease.com, the largest online lease transfer marketplace, offers drivers the chance to take over an existing lease. Drivers who no longer want to stay in their car lease can have someone else take it over by listing it on Swapalease.com. What better way to get into a newer vehicle that fits within your budget? You upgrade your cellphone every few months, why not your car?